Scale on camellia leaves, continuing problem even after spraying. Live in eastern NC and sprayed in late summer. It's worse on one large bush than others. Is there a better way to control scale? General Bulb CarePropagation Scaling Of Bulbs: What Types Of Bulbs To Use For Scaling? I would recommend trying a different spray. 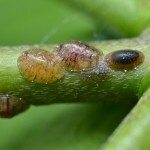 I like to use neem oil as it is absorbed by the plant itself and kills any pests that bite the plant. This means that coverage is complete and will not be washed away if it rains.